When bringing home a new cat, the single most important thing you can do is properly prepare the environment to help her feel comfortable from the moment she steps out of the carrier. It’s critical to create a safe, comforting and stimulating setting, without forgetting your own desire to have a well-designed living space. Everyone should be happy! 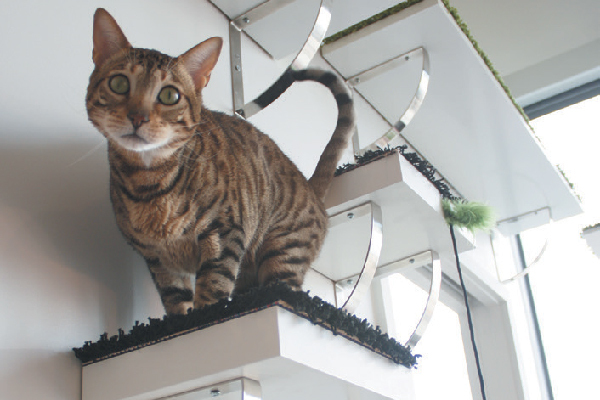 “Catifying,” as behaviorist Jackson Galaxy and I define it in our books Catification and Catify to Satisfy, is the art and science of designing the perfect environment to accommodate your cat’s needs as well as your own. It’s really very easy, so please don’t be overwhelmed! If you follow these simple guidelines, I guarantee the transition for your new cat will be smooth and trouble-free. 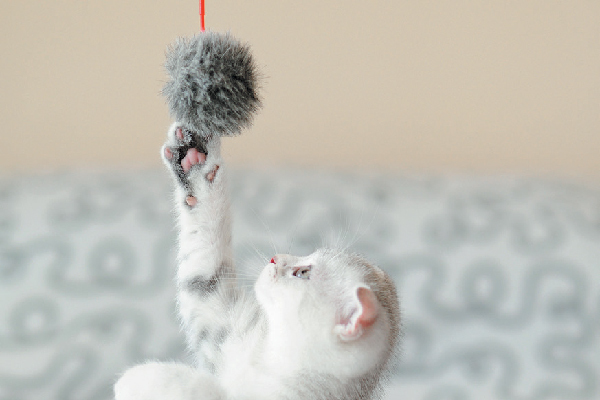 Kittens spend playtime learning how to hunt, so get plenty of toys for your little one to leap and pounce on. Photography ©willcao911 | Getty Images. When catifying for a kitten, kittenproof everything. This means removing anything that is potentially dangerous like loose cords or small objects that could be choking hazards. Create soft comfortable beds and cocoons that are easy for her to access. Get a litter box with low sides and tip-proof food and water dishes that are also kitten sized. 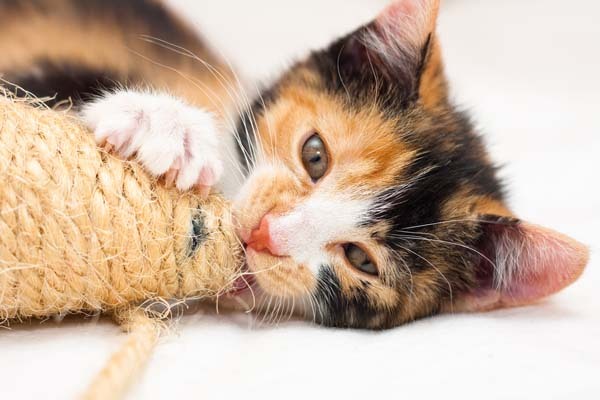 You’ll want lots of fun toys for your new kitten to pounce on as she learns how to hunt and play. Try putting the toys in a decorative basket or bin with low sides so kitty can reach inside. No matter what age your new cat is, block off any crawl spaces, like under beds and sofas, where she can hide. 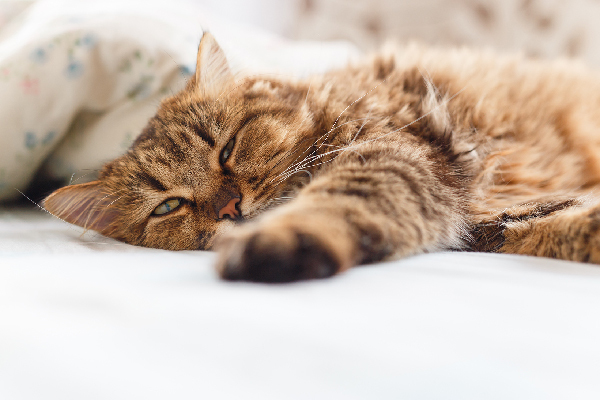 A cat in a new environment may want to hide, so give her a place to do that — like a covered bed — but make sure it’s still accessible. You want to teach her to be part of the family, and hiding under the bed isn’t the best way for her to learn that. 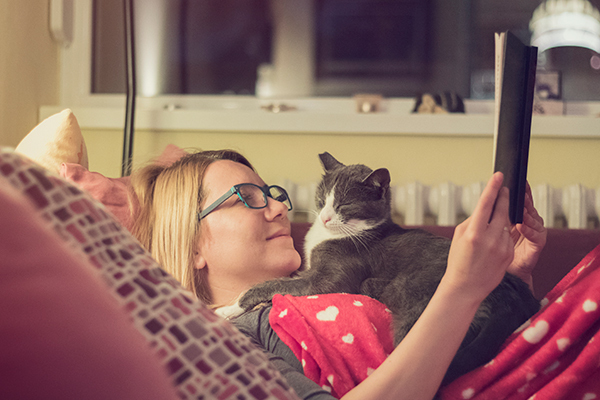 Your new cat will enjoy getting to know her new home by watching things from above. Photography courtesy Kate Benjamin. When bringing home an older cat, you’ll need to accommodate her instinct to climb. Being up high helps cats get a better perspective of their environment. Remember, cats are both predator and prey in the wild, so this means they are constantly surveying their surroundings, looking for potential threats and dinner. Start to catify by the environment by clearing off the top of a bookshelf and adding a non-slip surface, like a piece of carpet or a yoga mat. Then add a cat tree or a cat shelf leading to the new perch. When introducing your new cat to your home, show her the climbing area by leading her up with a toy. Kitty will enjoy getting to know her new home by watching the action from above. Adult cats will also need to have resources like a litter box, food and water in an area of the home where they feel safe. Set up a room for your new cat with all of these items as well as beds, scratchers and toys. This room will be “base camp” for your new cat, giving her a sense of security and allowing her to claim her territory. 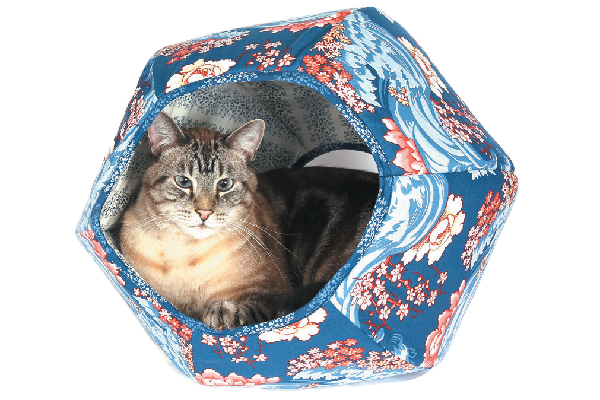 The Cat Ball Hideaway Cat Bed is the perfect cocoon to help make your new cat more comfortable. Photography courtesy The Cat Ball. Senior cats have a few special needs when it comes to catification. In this case, create lots of cozy spots that are easy to reach. She might not be able to climb very high, so set up a sunny window perch with a soft bed, or consider adding a heated cat bed for your new senior. Depending on your senior cat’s mobility, add stairs or ramps to make it easier for her to climb up to the window perch or onto the sofa. Catify all surfaces by covering them with non-slip materials for better traction. Your senior cat will still need places to scratch and some toys to keep her active, too. Keep her comfortable and stimulated so she can enjoy her golden years. 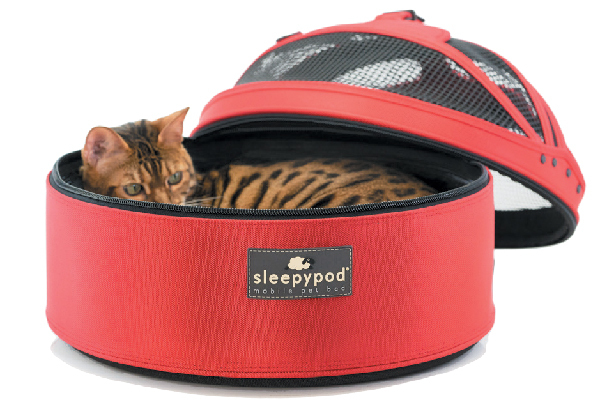 Sleepypod Mobile Pet Bed. Photography courtesy Sleepypod. Cats can be wary of the carrier if the only time they see it is for a trip to the vet. Instead of hiding the carrier away, keep it out, removing the top or the door and adding a soft blanket inside. This will encourage kitty to use the carrier as a bed or cocoon on a regular basis, then when it’s time to go out, the carrier is a comfortable and familiar part of her environment. Some carriers are actually designed to convert to a pet bed, like the Sleepypod Mobile Pet Bed. It’s a cool carrier that converts to a comfy bed simply by removing the top, plus it looks great in your home! Thumbnail: Photography ©anurakpong | Getty Images. 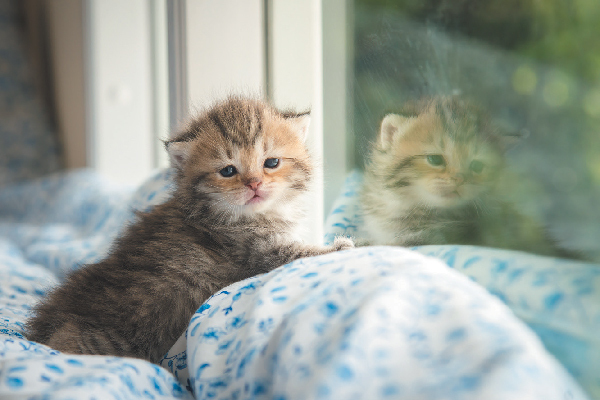 Tell us: What are your tips to catify your home before you get a new cat? 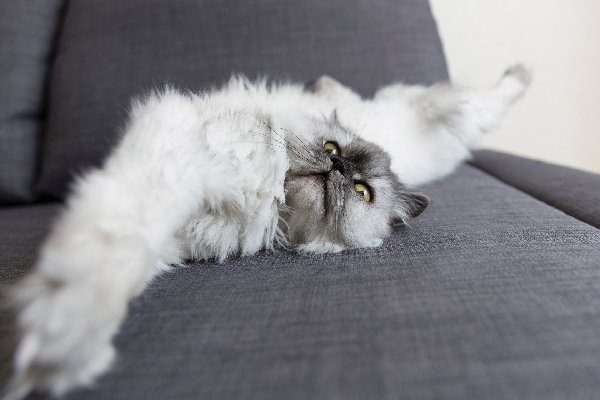 What are the biggest ways you’ve catified your space? This piece was originally published on May 1, 2018. I have 4 cats, all ferals. I keep the carrier out in the cat room right under the cabinet where their food is. When I first got it, my cats would often go in and sleep in it. It has a nice soft blanket inside of it. However, that all changed after the first time I took one of my cats to the vet. Ever since then, they have shown no interest in going inside it. One will go in, turn around and come back out if pushed in. The others will resist going in at all.